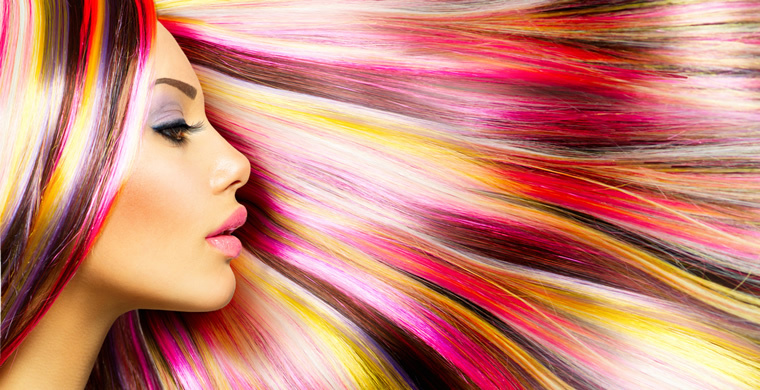 It is never easy to find the perfect Hair Color, your hair almost never looks like you expected it to. It’s no wonder that we will do just about anything to hold on to that perfect color when we do find it! Unfortunately, color fades over time and the process is hastened if you use harsh products in your hair, especially your shampoo and conditioner, which can fade the color in your hair while damaging hair fibers. 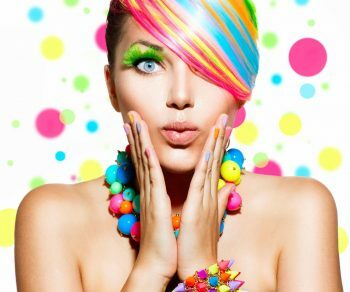 Thankfully, there is an ingredient added to some shampoos and conditioners that protects color treated hair without damaging it. 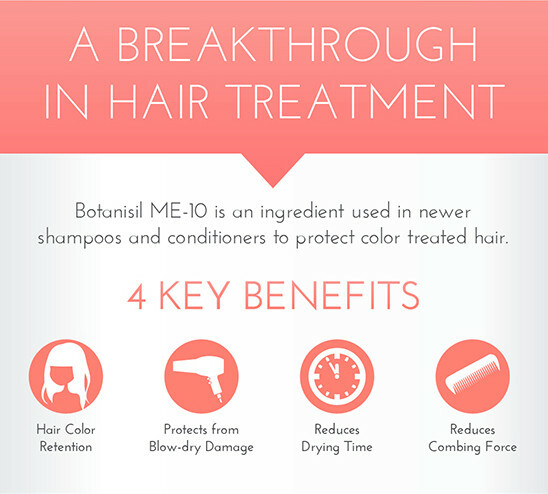 Botanisil ME-10 can help your hair retain its color while protecting it from heat damage. 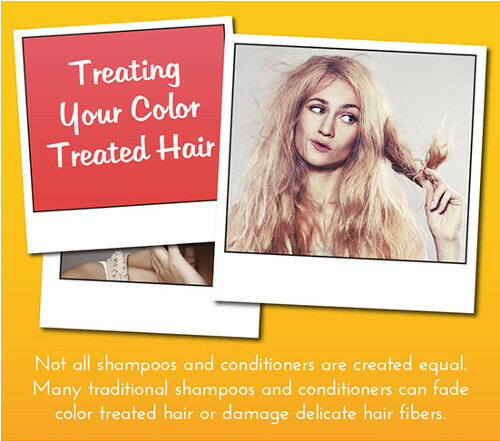 These protective properties are extremely beneficial to Color Treated Hair. Botanisil has a positive impact when added to shampoos and conditioners and is widely regarded as a must have ingredient in high quality Color Protection Hair Products. Does Botanisil ME-10 sound like something you’d be interested in? 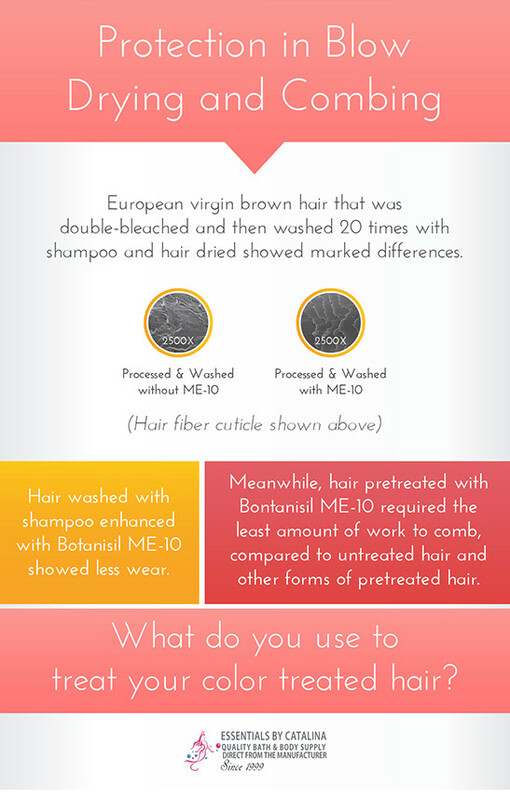 The following infographic delves deeper into the positive impact this product can have on your color-treated hair. Continue reading to discover more about this ingredient. You will see how this ingredient aids in hair color retention, protects from blow-dry damage, reduces drying time and reduces combing force. Each of these factors were proven under clinical study conditions and offer tremendous benefit to our hair. At Essentials by Catalina, we created a Shampoo and Conditioner infused with Botanisil ME-10 that would work together to give your Hair the Maximum Color Protection Possible!